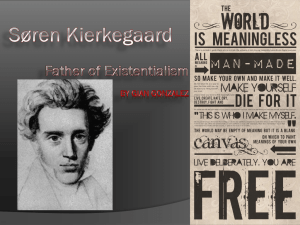 This is the last of the Eighteen Upbuilding Discourses published during the years 1843–1844 by Søren Kierkegaard. He will publish three more discourses on ""crucial situations in life"" (Three Discourses on Imagined Occasions) in 1845, the situations being confession, marriage, and death. These three areas of life require a ""decision made in time"".How does a person make a decision? 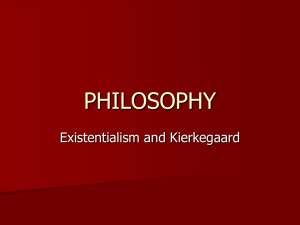 Søren Kierkegaard had to make some decision. He had to decide if he wanted to get married after having already made the ""sacred pledge"". He had to decide if he would carry out the wishes of his father, Michael, and become a Lutheran preacher or teacher. He made ""negative"" resolutions regarding these promises he had made. Perhaps some thought he should remain true to his word.This word ""resolution"" is the core of Kierkegaard's idea behind the leap of faith. His question is: Who can make a positive or negative resolution for another? A resolution is best made by the single individual in the quietness of his or her soul through the inward struggle rather than the struggle with external forces.This discourse has to do with a psychological view regarding the process of decision making and making of vows for ""existing"" single individuals and has nothing to do with the crowd or with ""noisy voting"".